View webinar on a new study highlighting opportunities for businesses to address the youth skills gap and transform the future workforce. The Fourth Industrial Revolution is transforming the type of work people do, and how it is done. While it offers new opportunities, many of today’s 1.8 billion youth worldwide youth stand to be left behind. To address this issue, Deloitte and the Global Business Coalition for Education have co-authored a new research study, which highlights opportunities for the business community to address the youth skills gap and develop the workforce of the future. Focused on SDG 4 (Quality Education) and SDG 8 (Decent Work & Economic Growth), this webinar will share with you an example of a company collaborating with businesses, government, and educators to transform learning and enable individuals to access the skills they really need to meet future job demands. In this webinar, Sarah Chapman, the Director, Corporate Responsibility & Sustainability, will share key insights from the new research report, as well as how Deloitte, through the WorldClass initiative, is committed to empowering 50 million people through education, skills development and access to opportunity. Sarah Chapman is the Director of Corporate Responsibility and Sustainability at Deloitte, one of the leading professional services firms. Sarah has significant international experience across the US and the Asia-Pacific region specializing in building innovative community and social impact programs that create shared economic and societal value. Sarah has a Ph.D. in Corporate Responsibility from the University of Technology Sydney, a Masters in Management from Bond University and a Bachelor of Science from the University of Western Ontario. Sarah also serves on the board of Volunteer Canada. The Global Compact Network Canada is partnering up with industry experts and leaders to share best practices and the latest in corporate sustainability through this series of webinars. Is improving the well-being of youth one of your organization’s objectives? If yes, how do you decide where to allocate your efforts and resources, and how to measure the impact that you are making on young people across Canada? Scotiabank, Canada’s international bank, created an index tool using health and education indicators to better understand the challenges facing young people today. The Index is a tool to help bring youth practitioners together to improve or create policies, pinpoint problem areas and benchmark progress. It’s also a platform to engage with partners in the youth space. Scotiabank recognizes that the long-term success in these areas depends on actions that are larger than any single organization. We must look at how we, as a collective society, can help move some of the Index’s indicators over the long-term in order to impact the future of the next generation. In this Sustainability Spotlight Webinar Series: Investing in Future Generations, Scotiabank’s Director of Corporate Social Responsibility, Samantha Mesrobian will share key insights from the Index, as well as how Scotiabank will use the Index to inform and make funding decisions in the future. Samantha Mesrobian has been with Scotiabank for 10 years and is currently the Director of Corporate Social Responsibility. In this role, Samantha is responsible for leading the CSR strategy, reporting, stakeholder engagement, and communications. Samantha is a seasoned marketer and passionate about brand. In her role in CSR, she is able to have an impact on Scotiabank’s reputation to drive brand value. The Global Compact Network Canada is the go-to network for all Canadian corporate sustainability insights, thought-leadership, and best practices. To help and encourage Canadian professionals to embrace the 17 SDGs and sustainable business practices, the GCNC is hosting a series of webinars to help build the capacity of the Canadian private sector. You have made the argument demonstrating the value of an environmental management system, and you have a high-level strategy for implementing it. Now you have to make it all happen. Here is a look at the “what” and “why” of Bell Canada’s EMS. Stephanie will talk about the journey from grassroots corporate environmental services to a fully-certified ISO-14001 environmental management system (EMS), what it looks like in practice in an organization of almost 50,000 people, and pitfalls to avoid. Senior Specialist of Corporate Responsibility & Environment at BCE Inc.
Stephanie Berger is Senior Specialist of Corporate Responsibility & Environment at BCE Inc.
Stephanie received her BA in Geography at Queen’s University and spent a decade on Wall Street, in London, and in Paris facilitating Initial Public Offerings and compliance filings before returning to do her MBA at McGill. During her MBA, Stephanie specialized in Marketing and Corporate responsibility, and she led a research team for Christine Arena’s 2007 business book on corporate sustainability, The High-Purpose Company. Stephanie is an official presenter for Al Gore’s Climate Reality Project and a past Board Member of the David O’Brien Centre for Sustainable Enterprise. Stephanie is based in Montreal. How do you advance your company’s social impact? Learn from one of Canada’s leading sustainable companies, TELUS, on how to maximize the value and impact created by your company’s sustainability efforts. Ranked as Canada’s Greenest Employer, Canada’s Top 50 Socially Responsible Corporations, and many other corporate sustainability awards, TELUS is not only one of Canada’s leading telecommunications companies, but also a global sustainability leader. In this webinar, TELUS’ Director of Sustainability, Geoff Pegg, will share TELUS’ journey to align and ground its social strategy with its business operations, global standards and expectations from its customers, investors and other material stakeholders. Geoff is the Director of Sustainability, Utilities & Energy Management with TELUS. 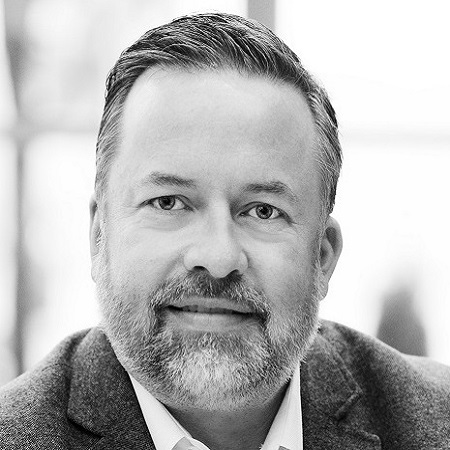 After ten years in various customer experience and operations roles with TELUS both locally and internationally, Geoff has led TELUS’ sustainability strategy for the past five years. Highlights include producing five award-winning GRI sustainability reports, creating TELUS’ innovative National Sustainability Council, establishing their long-term climate change and waste diversion goals and targets and initiating TELUS’ leading practice of linking executive and team member pay to sustainability objectives.